Signature We designed Chemical Guys Signature Series Wheel Cleaner to be the world’s most versatile wheel cleaner. Safely and easily remove heavy brake dust from virtually any wheel surface. Signature Series Wheel Cleaner is professional strength for the toughest detailing jobs. 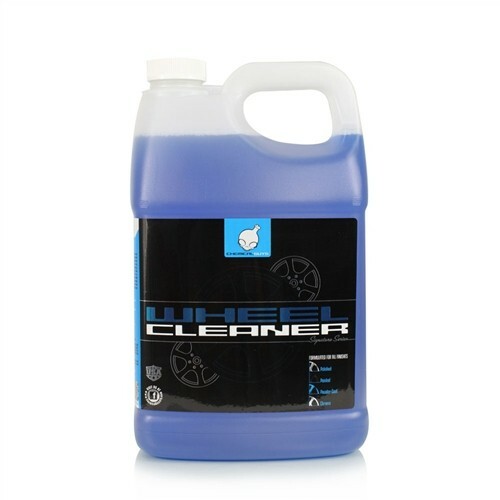 We engineered the unique wheel cleaning formula to be super concentrated. Simply dilute Signature Series Wheel Cleaner to a 4:1 dilution ratio to create a perfect wheel cleaning solution. Simply spray Chemical Guys Signature Series Wheel Cleaner directly on a dirty wheel and tire, agitate with a quality brush, and rinse with clean water for a perfect finish. It’s that easy! Signature Series Wheel Cleaner is also safe for cleaning painted and power-coated brake calipers to restore the shine. Our high-tech wheel cleaning formula is tough on brake dust, yet gentle on your wheels. 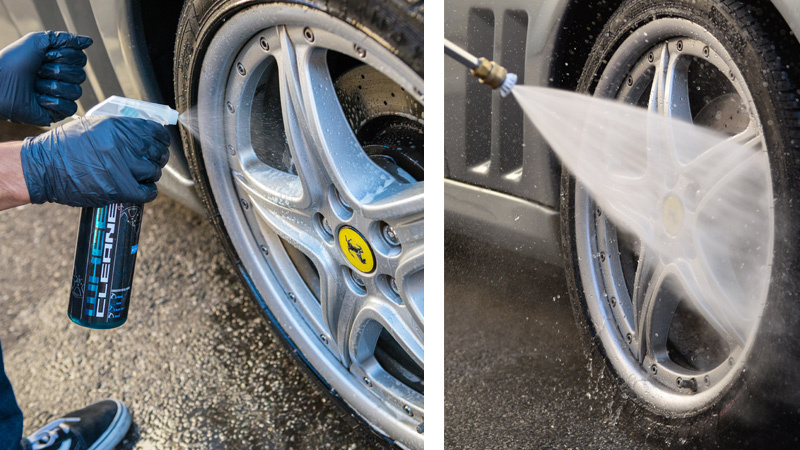 Signature Series Wheel Cleaner easily sinks into the cracks, crevices, and holes of your wheels to restore the sparkle and shine to your ride. 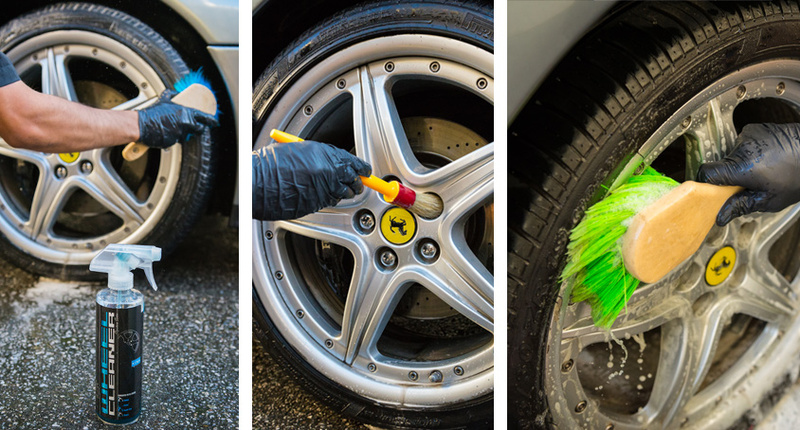 Discovery how easy wheel cleaning can be with Chemical Guys Signature Series Wheel Cleaner.